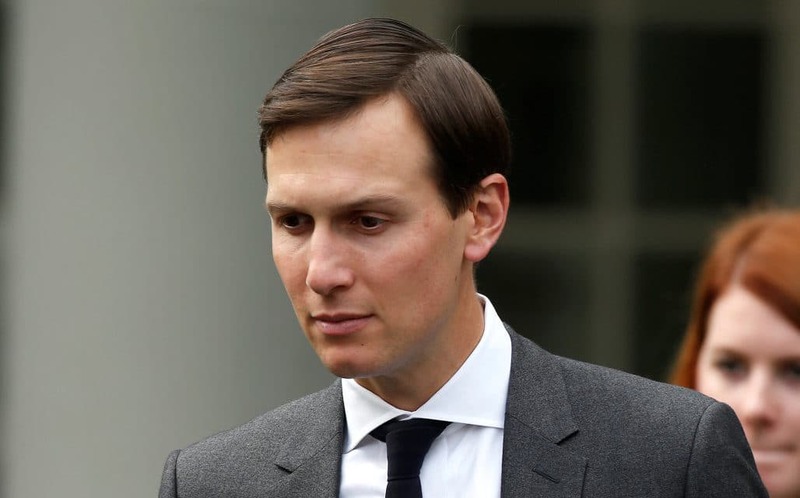 Donald Trump’s son-in-law and senior advisor Jared Kushner forwarded e-mails about a “Russian backdoor overture and dinner invite” to Trump campaign officials and failed to produce them for the Senate Judiciary Committee, two senators on the committee say. Kushner also failed to produce e-mails, copied to him, about communications with WikiLeaks and with Belarusian-American businessman Sergei Millian, a possible channel for Trump-Russia discussions, said GOP committee chairman Chuck Grassley and Democrat ranking member Dianne Feinstein in a letter requesting the messages. The possibility of Trump-Russia contacts, including a proposed meeting between Trump and Russian President Vladimir Putin, developed from March 2016 when they were first proposed to the campaign by foreign policy advisor George Papadopoulos. Although the Trump-Putin encounter never occurred before the election, Trump campaign staff — including Kushner, Donald Trump Jr., campaign manager Paul Manafort, and senior advisors Jeff Sessions and Michael Flynn — met Kremlin-linked officials before and after the November 8 vote. The Grassley-Feinstein letter did not specify which meetings are involved in the “backdoor overture”, but it could refer to Kushner’s meeting in December with Russian Ambassador to the US Sergei Kislyak, with Flynn in attendance.The senators said Kushner had not provided all requested information about communications with Flynn. During the discussion with Kislyak, Kushner reportedly proposed the establishment of a back-channel line of communication between the Trump transition team and Moscow, using Russian diplomatic facilities in the US. Kushner maintains that he only asked about “an existing communications channel at [the Russian] embassy” to discuss the Syrian crisis. Soon after that meeting, Kushner met the head of a Kremlin-linked bank. Russian officials say the discussion was about financial matters, but Trump’s son-in-law has denied that this was the subject. Kushner is facing a $1.2 billion mortgage payment in early 2019 on a troubled skyscraper project in New York City. He has struggled to get covering loans, including from Gulf States and from China. The letter’s reference to WikiLeaks is significant because the US intelligence community has concluded that the organization disseminated Russian-provided e-mails stolen from computers of the Democratic National Committee and the campaign staff of Democratic nominee Hillary Clinton in summer and autumn 2016. Earlier this week it was revealed that WikiLeaks had pursued contacts with Donald Trump Jr. about efforts to bolster Trump Sr. and damage Clinton. The letter is the first reference to contact between the Trump campaign and Millian, a Belarus-born US citizen who founded the Russian-American Chamber of Commerce in 2006. He has described himself as an exclusive broker for the Trump Organization with respect to real-estate dealings in Russia, in touch with Trump’s group as late as April 2016. Millian is also reportedly a key source in the 2016 dossier, compiled by former British intelligence official Christopher Steele, about Trump-Russia ties. The businessman has denied the claim. Special counsel Robert Mueller’s team has issued a subpoena to Donald Trump’s campaign requesting Russia-related documents from more than a dozen top officials, according to a “person familiar with the matter”. The mid-October subpoena is Mueller’s first official order for e-mails and documents from the campaign. The campaign had been voluntarily complying with requests for information and sharing documents that it provided to congressional committees. However, former prosecutors said that despatch of a subpoena is not unusual if there is concern that demands are not being met promptly or are not being entirely fulfilled. They said a subpoena can ensure compliance and remind the subject that failure to provide documents would be obstruction of a grand-jury investigation. Mueller’s team previously issued subpoenas individually to several top campaign officials, including former campaign chairman Paul Manafort — who has not been indicted on financial, tax, and lobbying charges — and former National Security Advisor Michael Flynn. The House of Representatives passes a $1.5 trillion tax cut proposal. The approval, endorsed 227-205, came two weeks after the bill was unveiled, without a single hearing on the legislation of more than 400 pages. All Democrats and 13 Republicans voted No. In the Senate, the Finance Committee voted 14 to 12 along party lines to advance its version of the proposal. The chamber could consider the bill after the Thanksgiving recess in late November, but there are doubts about whether the Republicans have the necessary support for passage. Senator Ron Johnson of Wisconsin said Wednesday he will oppose the measures because they reward corporation at the expense of smaller businesses. Susan Collins of Maine is leaning towards opposition, and Bob Corker of Tennessee and John McCain of Arizona have expressed concerns. See TrumpWatch, Day 300: Trump-GOP Tax Cut Plan in Trouble? The Republicans have only a 52-48 majority in the Senate. If the Senate does approve its bill, the two chambers then have to reconcile their versions. The Senate’s legislation, amended this week and trying to find ways to finance the $1.5 trillion, makes individual income tax cuts temporary and delays implementation of the corporate tax cut by one year. It includes the repeal of the ObamaCare individual mandate, under which most people must take out health insurance or pay a penalty.